AMMONNEWS - Jordan Tuesday has agreed to a UN request to host a meeting between the Yemeni government and Ansar Allah movement to discuss a prisoner swap deal, a foreign ministry statement said. According to the statement released by the Ministry of Foreign and Expatriates Affairs spokesperson, ambassador Sufyian Al-Qudah said that the Kingdom has accepted a request by the special UN envoy for Yemen to host the talks. 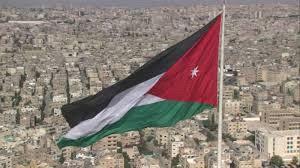 He stressed that Jordan stands with Yemeni people and supports efforts aimed at ending the country's long crisis, noting that a political solution must be reached according to the approved references. The statement did not reveal when the talks would be held.